Do you like playing poker but seem to lose more often than you win? Have you wondered why some players consistently win or cash and what they know that you don’t? Would you like to understand pro poker players approach to the game and how they think? 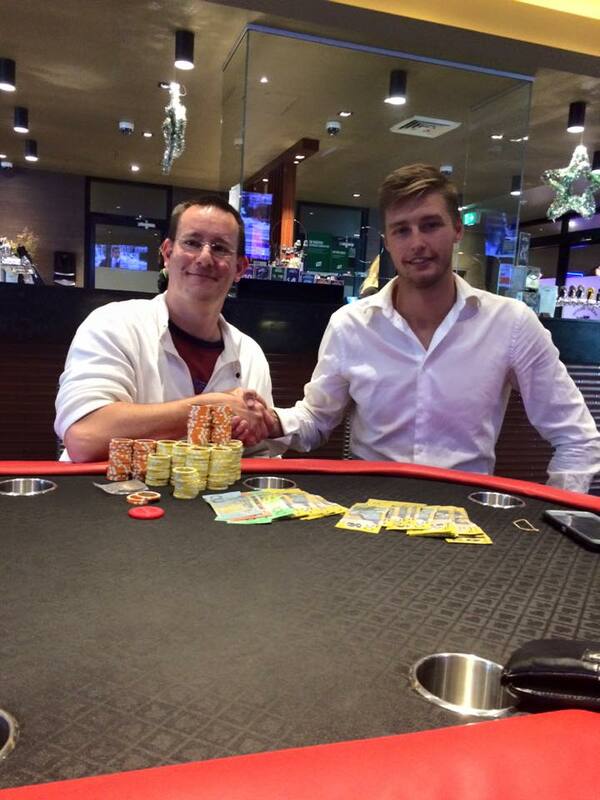 Would you like to improve your poker and start winning more money more often? I can help you stop losing and start winning more frequently . . . If you just like playing with friends at the club and don’t mind regularly spending money on a night out and entertainment, and think it’s mostly luck that determines the result and enjoy the gambling side . . . then this course is not for you. If you have played for many years and think you know all you need and don’t want to study or work on your game . . . then this course is not for you. Who am I and what are my results? If you are looking for a coach or teacher in anything, you want to know if they can do it well themselves, and if they can teach (not every successful sportsperson is a good coach). I do not think I am a great poker player, but I am working on it. My main strength is I can read books or watch videos by experts, understand them and apply it, and then explain to others depending on where they are at and what they can handle (not everyone is great at maths). I am also an experienced and qualified teacher in English, currently teach chess to CCGS students at lunch time and cricket after school, and was an instructor in snowboarding, surfing and sailboarding. • I’ve played the $105 Friday night game at Settlers with Poker Down Under (and the $105 game at Diggers before that) for 72 games over 2 years with an ROI over 150% (on average I win >$270 per game for an average profit of ~$170). I have also played 4 x $330 buyin tournaments at The Star with no cashes - so that return is a pretty dismal 0%! I would say: a moderately successful amateur poker player profitable in low stakes live NLHE tournaments. I favour a small group (max 6) structured course approach with materials to assist students and use presentations, videos, worked examples and references for follow-up. I have read about 15 books on tournament strategy for Texas Hold’em tournaments and will be using the “Harrington on Hold’em” trilogy, the Kill Phil / Kill Everyone / Kill Elky (aka The Raisers Edge) trilogy and Sklansky’s “Tournament Poker for Advanced Players” as the basis for the Fundamentals course. • Betting patterns, tells and table talk. • The fundamental questions to ask when considering betting / raising vs. calling or folding. What is the cost of course? $40 per week for 8 weeks so $320 payable in advance – I want students committed to finish the whole course and put consistent effort in. As it’s the first time I have run this course I am making it available at a 25% discount for the first 6 students who register, or only $240, as a one-time introductory offer. This option means no cash payable up front, and if you end up playing that number of tournaments and not cashing in any, the lessons are on me (free). For example say you intend playing every 2nd $105 Friday night @ Settlers for a year, and you win the first ($1,005), come third in the 6th ($405) and win the 14th ($1,100). You would pay me $450 ($1,005 - $105 = $900, divided by 2 = $450) for that one, $150 for the 3rd place (($405 - $105)/2) and then $200 only for the win in the 14th to reach the cap of $800. Anything you win after that is all yours. If instead of winning the 14th tournament you bubbled, and had no cashes in the next 6 tournaments but won the 21st tournament for $2,000, you would keep all the winnings and would have paid me a total of $600. f you don’t play all the tournaments as agreed, you pay full the cost of the course. I will give you the materials to study during the week and answer any questions by email. You can also request a “make-up” session for $50 for an hour (as it’s one-on-one we should be able to cover it adequately in an hour). I will also consider allowing you to sit-in on a future lesson on that topic depending on student numbers and timing. Do you give private (one-on-one) lessons? Yes, but I prefer to do so after students have taken my fundamentals course, so they understand the various concepts and interactions in play when analysing hands and overall game. You’re too expensive / not good value / I can’t afford it. I am doing my best to make it affordable for low stakes regular players and offer a “shared winnings” option with no upfront cost – in fact I risk not receiving anything at all. I suggest if you were going to outlay over $2,000 in a year on poker tournaments then investing 10% of that in some coaching to improve your game will return a profit in that year – let alone many future years going forward. I could earn much more money per hour working in IT instead of coaching but I love poker and enjoy seeing students improve. Everyone’s idea of value is relative – I’m looking at lessons from one of Australia’s top pros who charges $250 per hour and I think that’s cheap – I’ll be using this course to subsidise my lessons with him. I could learn all that stuff from books / videos myself. Of course – that’s how I did. I’ll even give you a list of recommended books I’ve bought and read! I am unashamedly using the best poker pros and books around as the basis for my course. Some people find they learn better by listening in person, asking questions and working through examples, or watching short videos and discussing aspects, than reading books. The first rule of Fight Club is there is no talking about Fight Club . . . You can tell anyone you want you are taking lessons with me, but you can’t say who the other students in the course are. It’s private and their business, so I insist on confidentiality. Some players don’t want others to know they are taking lessons, and some players don’t want opponents to know they take the game seriously and know all these concepts, to conceal their edge and generate more profit. There is no belittling anyone’s play or opinions during discussions. If you'd like to contact me you can email "david at soede dot net" or call 02 4388 2294 / 0414 995 762 (I work 8 til 5pm so may not answer the mobile Mon-Fri, and my reception at home is poor). Following my recent win in the Central Coast Championships another large tournament was held on the Central Coast last Sunday, at Halikalani (Toukley) Bowling Club which had a $100,000 prizepool for a $1,100 buy-in with 100 runners. 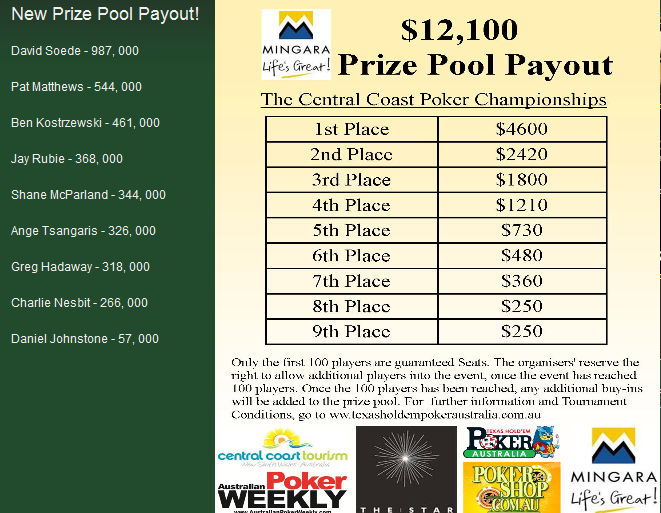 I'm pretty sure it was the largest prizepool for a Central Coast based poker tournament. Even though I was well bankrolled for the tourney and could afford the $1,100, being held on a single day and with faster blind structures than the Central Coast Championships meant luck was more of a factor, so I took a shot at a satellite tourney – this is where you pay a small amount (in my case I qualified through a top ten leaderboard in my regular Friday night game) to enter and sometimes an “add-on” which in my case was $40 for double the chips (which I took). I was successful in winning an $1,100 ticket to the big tourney for my $40 outlay 3 weeks ago. 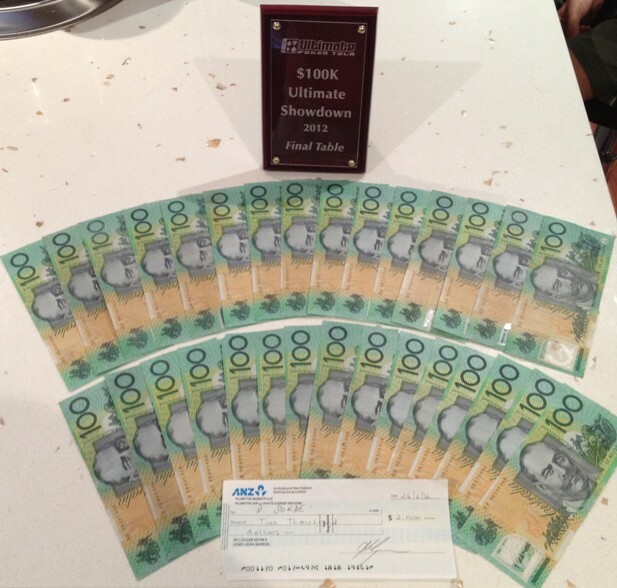 In the Ultimate $100K tournament I played really well again – most of the field were “soft” pub players who had also satellited in from various top ten leaderboards (but usually $5 or $10 venues whereas my $100 per game venue has a higher standard of general play) trying to earn the minimum cash prize of $2,000 for 15th+, but I wanted to win the $35K first prize, so I took some calculated risks to build a big stack, and was a chip leader on the bubble (16th place finished with no money, like 100th) and on the Final Table (again). I was travelling pretty well and staying out of the way of the table maniac who was randomly raising and jamming with no regard for his cards or the board – winning some pots and losing some, but putting many other players on tilt (they were playing badly reacting to or imitating him). We were 5-handed when I took a couple of bad beats to drop me from chip leader to 3rd (just) when a key hand went down. I raised AK on the button for 2.5BB and the Small Blind (a loose, lucky donkey type player who didn’t understand equity, probability or poker) jammed for 18BB (instead of raising to say 5BB or 6BB or folding, or possibly calling) and I snap-called. He had AT – which was exactly what I put him on, as it was his favourite hand – and I was a 75% favourite to double up, cripple him, and take a big chip lead. This time his 25% chance came off and the board ran out QJ982 giving him a straight and knocking me out in 5th for $5,000. I was disappointed as 3rd was $10K, 2nd $18K and the win was worth $35K and I knew I had very, very strong chances of winning the tourney if my hand had held up – but that’s poker. All you can do is get your chips in good, what happens after that . . . I also had the opportunity to play against a very good pro, Jesse McKenzie, who has amongst other successes won the prestigous Pokerstars Sunday Millions for $150K+ ($215 buyin, over 6,000 runners). He was very aggressive and played a high variance style, stealing pots and putting players to tough decisions. I think he outplayed me on one hand - on the bubble I raised preflop from the SB, he 3bet me, I 4bet, he 5bet jammed for 75% of my stack. I tanked and folded JJ, he claimed AQ - if so, that's a very aggressive way to play AQ. I basically thought I was up against a bigger pair than Jacks, and even if AK it was a flip for 3/4 of my stack on the bubble as chip leader. I might have to stop avoiding these coinflip situations, as even if I think I have a skill edge with post flop play (not against Jesse!) there are times when flips are unavoidable. 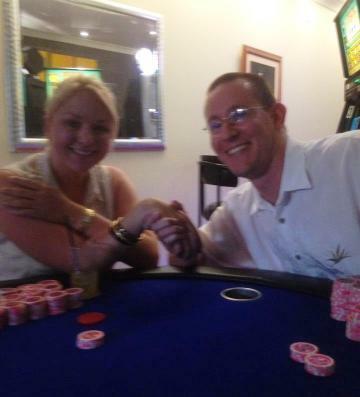 David Soede wins the 2012 inaugural Central Coast Poker Championship Main Event! 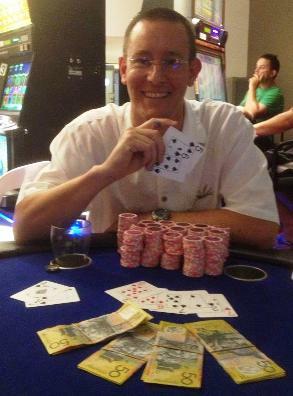 I have been playing poker in live tournaments for almost 2 years now - intermittently playing freerolls at first with THPA at Ourimbah RSL and then as I built a bankroll have played more regularly over the last year, moving to the THPA HighRoller Friday Tourneys at Diggers, and when that disappeared now Settlers with PDU on Friday nights. I had played a couple of 2-day Satellites last year (a satellite is where a lot of players pay a small entry fee and compete for a ticket(s) in a large / expensive tournament) but was too impatient the first time, and took a calculated risk to make the Final Table the second time with a decent stack which didn't pay off (I made the FT but with a short stack of chips - hard to win from there). I did learn from both of those tournaments, and so I felt ready - and bankrolled - to play a "real" (not a satellite tourney) 2 day tournament late last year. 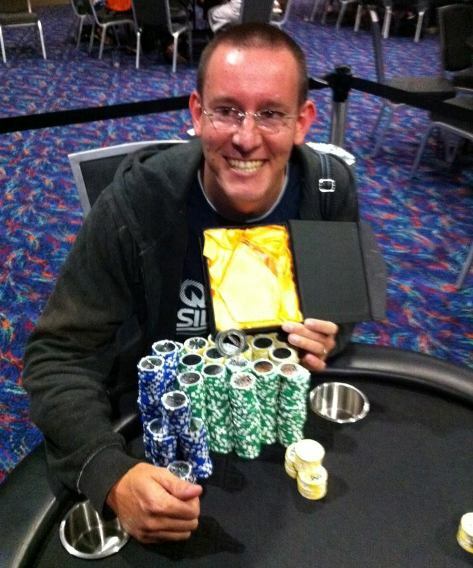 I played the inaugural Central Coast Poker Championships this weekend just gone and won the Main Event – pretty happy :) We started with 121 players who each bought in for $110, of which $10 goes to the organisers (covers wages of staff, gear usage etc) and the $100 remainder into the prize pool, so $12,100 in total, with $250 for 9th and 8th place, working up to $1800 for 3rd, $2420 for 2nd and $4,600 for the winner. We started 4pm on Saturday and played until 9 were left (the Final Table) which was 3:30am Sunday morning, then back at 2pm Sunday for the Final Table. There’s a blurb below lifted off THPA 's website. I got some good support from my poker friends George, Mick, Dean, Ann, Brett etc but especially Tim Cornish who came down and gave me a couple of good tips during the FT, which helped me win a pot and change the table dynamics into my favour a bit (thanks Tim). There were some key hands I’ll break down in detail at the bottom of this article later on. 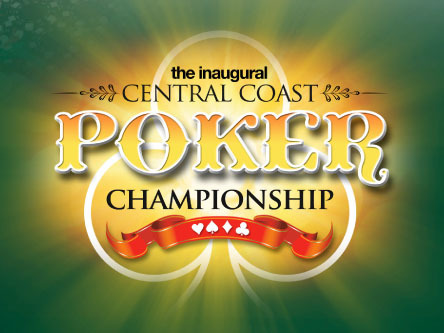 Soede Wins Central Coast Poker Championship APW Main Event! David Soede has pocketed $4600, a ($330) Seat at Star's Wednesday game and a sensational trophy for 2 hard days of great poker. 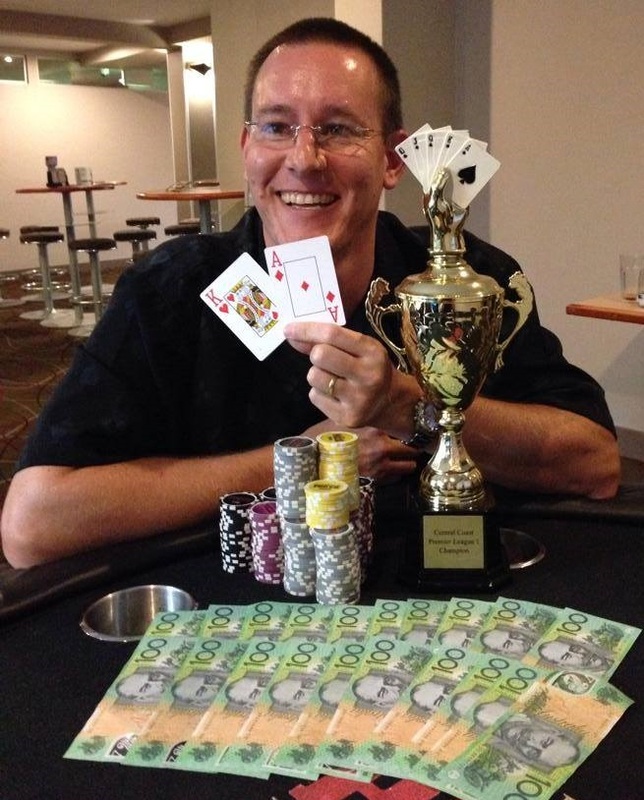 'David was thrilled and stated that he started his poker as a Freeroller at THPA's Ourimbah RSL', said THPA Director Rick Williams. 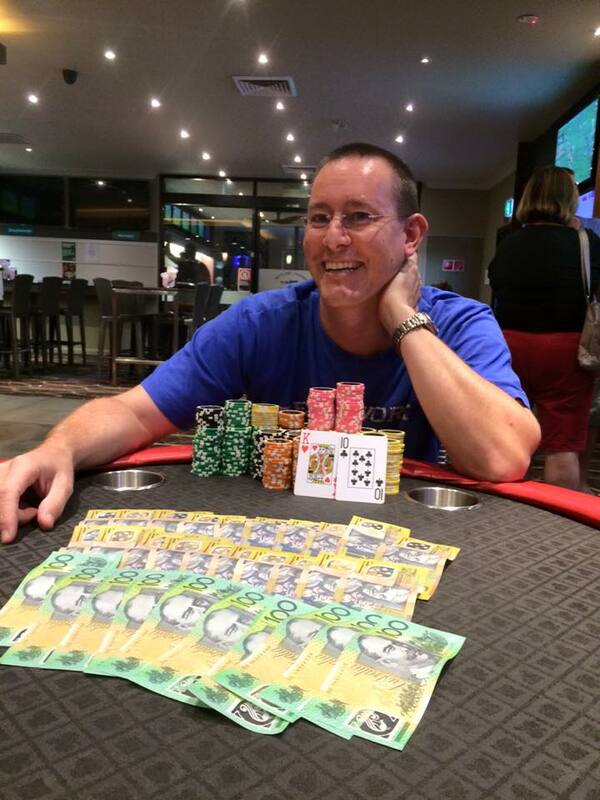 'Mr Soede has developed into a very competitive player and we are extremely proud that the inaugural Central Coast Poker Championship was won by a local', said Williams. 'Not only was it a great win by the Central Coast but it showed the depth of talent we have with 8 of the 9 players on the Final table from the Central Coast', he said. The Opening event attracted 121 starters from all over the State and THPA owes thanks to the events major sponsor Australian Poker Weekly as well as Mingara, Star and the Rubie family for their outstanding support.